Yet another announcement! You may be aware that Life In Recovery was recently entered into the UK Blog Awards and is up for Best Health Blog and the Young Person Recognition award too. Further to this news I was delighted to learn that Life In Recovery has also been nominated for two WEGO Health Activist Awards. The following is an excerpt from WEGO Health's website giving more information on the awards and the organisation. "WEGO Health is a different kind of social network, built for the community leaders, bloggers and tweeters who are actively involved in health online. WEGO Health is a platform for committed Health Activists to foster new relationships, gain access to helpful resources, and grow their communities. Our goal is to equip our network with opportunities designed for the active contributor, relevant content, powerful educational resources and shareable interactive media." "The WEGO Health Activist Awards were created to embody the mission of WEGO Health: to empower Health Activists. We connect with so many inspiring Health Activists who raise awareness, share information, support their communities, and much more - often without recognition. The WEGO Health network is centred around Health Activists, so we knew it was up to us to tell these leaders how great they are! We wanted to celebrate those who have made a difference and thus, the Awards were born. We've since found that these Awards are one of the best ways to introduce new Health Activists to the online community and have community members say "thank you" to the leaders they love." 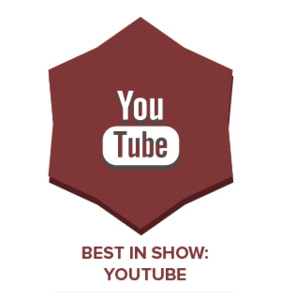 Life In Recovery has been nominated for the Best In Show: YouTube and for Best Kept Secret awards. 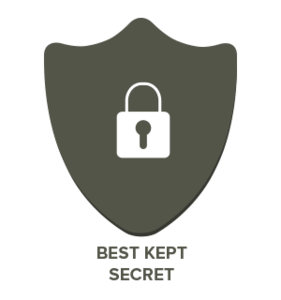 The way the awards work is that each individual or organisation creates a Nominee Profile once they have been nominated. People then have the opportunity to 'endorse' this profile. There are so many wonderful and inspiring individuals and organisations on the WEGO Health Activist Awards site, so please have a browse and feel free to endorse anybody who strikes a chord with you. A few months ago I was asked if I would like to write an article for the United Nations Association - UK (UNA-UK) quarterly magazine New World. I jumped at the opportunity, of course! I'm happy to be able to say that the magazine and web exclusive articles have now been published. If you've never heard of UNA-UK before then this little blurb taken from their website might help explain who they are and what they do. "The United Nations Association - UK (UNA-UK) is the UK's leading source of independent analysis on the UN, and a UK-wide grassroots movement. UNA-UK believes that a strong, credible and effective UN is essential if we are to build a safer, fairer and more sustainable world. We advocate strong government support for the UN and demonstrate why the UN matters to people everywhere. UNA-UK derives great strength from its members and supporters, and UK-wide network of local, school and university branches. Together, they form a critical mass of support for the UN in the UK and beyond." 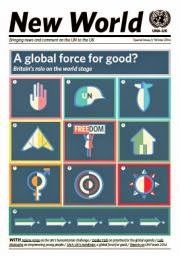 In both issues there are some incredible articles, essays and infographics. The subjects range from foreign policy to the Ebola virus, HIV/AIDS therapies to concerns about the access to healthcare in developing countries. 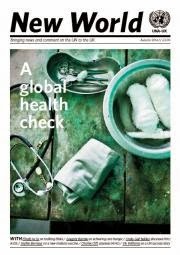 The magazine also raises fundamental questions about the world we live in and I would strongly recommend giving the current and past issues a read as they are a gold-mine of information and eye-opening stories from people 'in-the-know' and on the front-lines of the issues being discussed. I have a BIG announcement to make.... Life In Recovery has been entered into two categories for the National UK Blog Awards 2015. The two categories are Health and Young Person Recognition (18-25) This is obviously hugely exciting for me and I am very pleased to be involved in the awards. 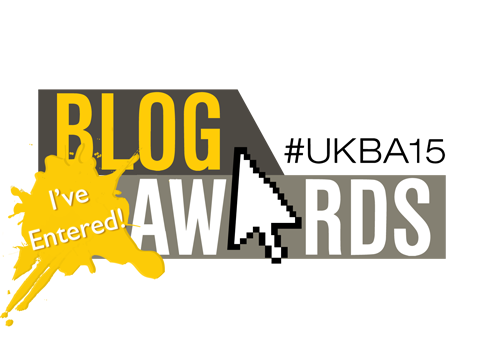 The UK Blog Awards© are the only Blog Awards recognising a multitude of industry professional talent across the UK. The UK Blog Awards provide a unique opportunity for individual professionals from their sector and organisations to be recognised for their social media achievements through blogging, with the chance to network and be inspired by other industry bloggers. Now comes the part where I need YOUR help. The blogs are short-listed based on a public vote. This vote opens on November 10th and closes December 1st. The lucky 20 finalists will be whittled down to the winners by a panel of expert judges. The winners will be announced at the awards ceremony in April 2015. The theme of the 2015 awards is #BeBold. So I'm going to Be Bold and say that when the public vote opens I would love to get a vote (or two) from you all. This is obviously only if you feel Life In Recovery is worthy of a vote in the categories. There will be lots of other amazing blogs and websites in all the categories that I'm sure would also appreciate your votes, so keep your eyes peeled and your fingertips at the ready on November 10th! I'll update the blog to remind you when voting starts and I'm sure there will be some sort of countdown to polling time on Twitter! Many thanks for all your wonderful feedback, comments and interactions so far. If just one person is helped through Life In Recovery I will have achieved what I set out to do.